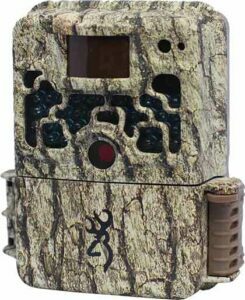 Browning brings in another excellent model in the world of trail cameras. The Browning Strike Force 10 MP is another outstanding game camera from Browning at a reasonable price. With its attractive and functional camouflage design and features, you are able to capture nature and wildlife at its purest form. The Strike Force game camera has a high quality camera resolution and high definition video. This allows you to take excellent quality photos and videos. It also has a fast trigger speed that clearly captures even those quick movements from animals. A single video shoot can last up to two minutes. The shell of this camera is also very appealing and serves as an effective camouflage. Through this, the camera will seemingly be unnoticeable that will prevent it from scaring the wild. This motion-triggered camera runs on eight double A batteries. This will give you a long battery life, making sure that you do not miss any great opportunities out there. With this unit, Browning delivers another solid camera. It has a few setbacks, though, but they are all minimal. The biggest complaint for this camera is that the latches can break easily. Some of the control buttons are also placed a bit closer to each other, making it difficult to adjust for those with big fingers. In conclusion, the Strike Force game camera is an excellent option that you can choose. It is a fantastic offering that comes in an affordable price, especially when comparing with other cameras.